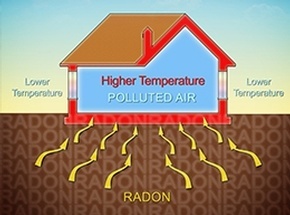 Radon is an invisible, odorless radioactive gas which naturally occurs from the earth. Prolonged exposure to this gas may cause lung cancer. I test for levels over several days and an accredited lab interprets the results which I provide to you along with the EPA's recommendation. Certified Home Inspectors at Right Way Home Inspection Services LLC offers Radon Testing and other home inspection services to clients across Wynantskill, Albany, Saratoga, Rensselaer, Schenectady, Columbia, Washington, Troy.